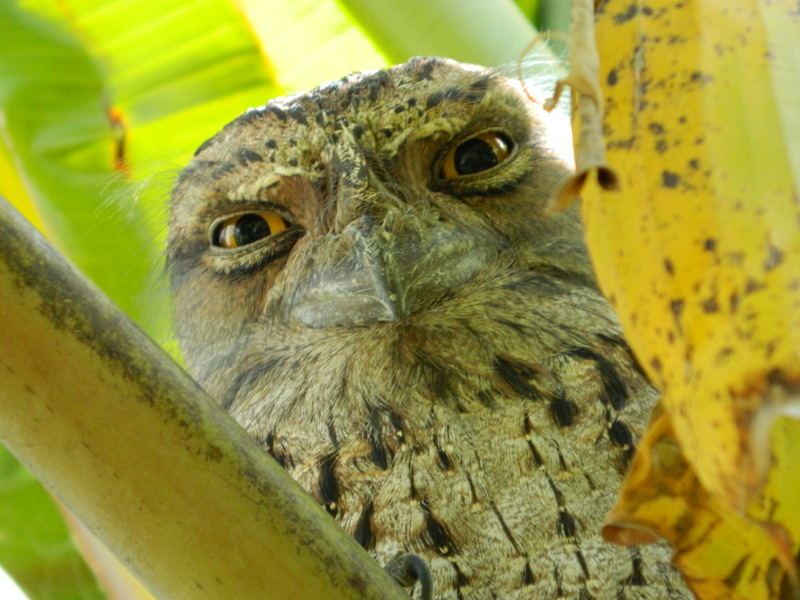 Tawny Frogmouths subscribe to the Ostrich Theory ….. When approached, they freeze, stick their heads in the air and shut their eyes. Mostly this form of disguise works because their plumage matches the bark of the tree and their shape is almost indistinguishable from that of a branch. 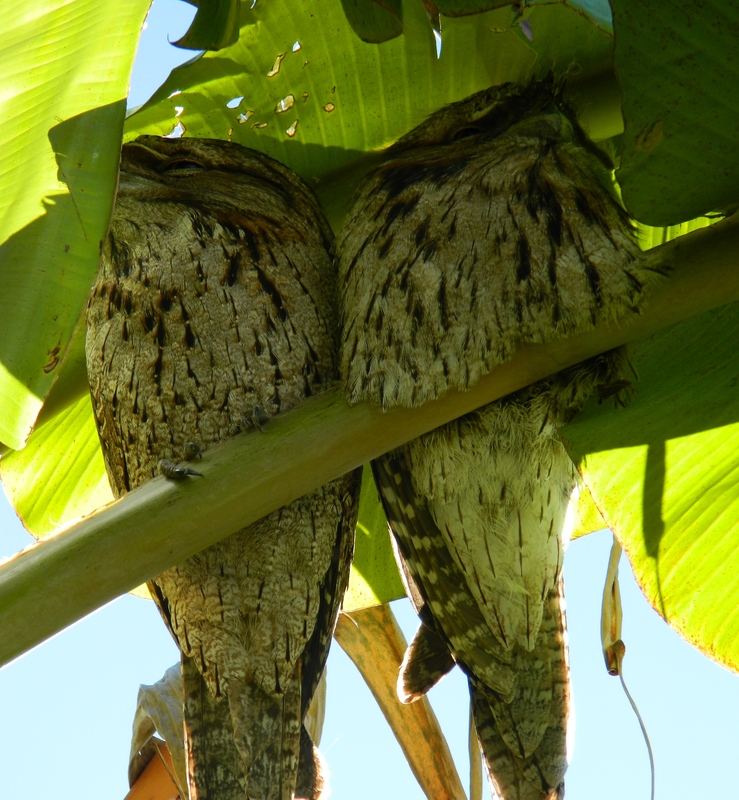 But the pair that has taken up part-time residence in my banana tree hasn’t caught on to the fact that brown stands out quite well against a background of green! Anyway, their loss is my gain. So I mow, clatter around with my wheelbarrow and even use my leaf blower a mere three metres below them, and apart from a few reproachful looks, there they sit with eyes resolutely shut. I remember seeing two of these when I stayed with you. They are rather sweet. The frog theme even follows you into the bird world!